Semi-automatic: These modern innovations combine the smoothness of automatic transmissions with the driver-to-vehicle connection of their manual counterparts. 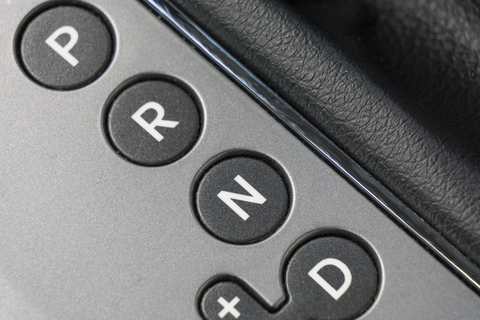 Drivers can choose when to engage the controls and then proceed to change gears at the press of a button. Fluid should be changed in manual transmissions every 45,000 to 95,000 kilometres, while automatic transmissions might have similar instructions or may even feature maintenance-free fluid. These parameters may change depending on the amount and severity of your vehicle’s driving habits. Transmission fluid filters and gaskets should be inspected whenever your vehicle’s oil is changed. Transmission warning light is activated (see your vehicle’s owner manual). If you notice any of the above issues, it may be time for a Park Muffler technician to take a look at your vehicle’s transmission. Often repairs are only a temporary solution, as failing transmissions are usually replaced outright or rebuilt with refurbished parts. Each option comes at different levels of expense, but putting off the regular maintenance outlined above can drastically raise the cost of the required labour. As you can see, preventative maintenance is a good investment! Questions? Concerns? Contact or visit Park Muffler today for a full assessment of your vehicle’s needs.